How many Bradford County residents remember seeing these movies when they came out in the 1970’s? Raise your hand if you saw Butch Cassidy and the Sundance Kid, Airport, or Love Story (with free Kleenex in the lobby), The Godfather, The Poseidon Adventure or Cabaret? Bedknobs & Broomsticks or Dirty Harry? American Graffiti? Serpico? The Way We Were? Jaws? Rocky? 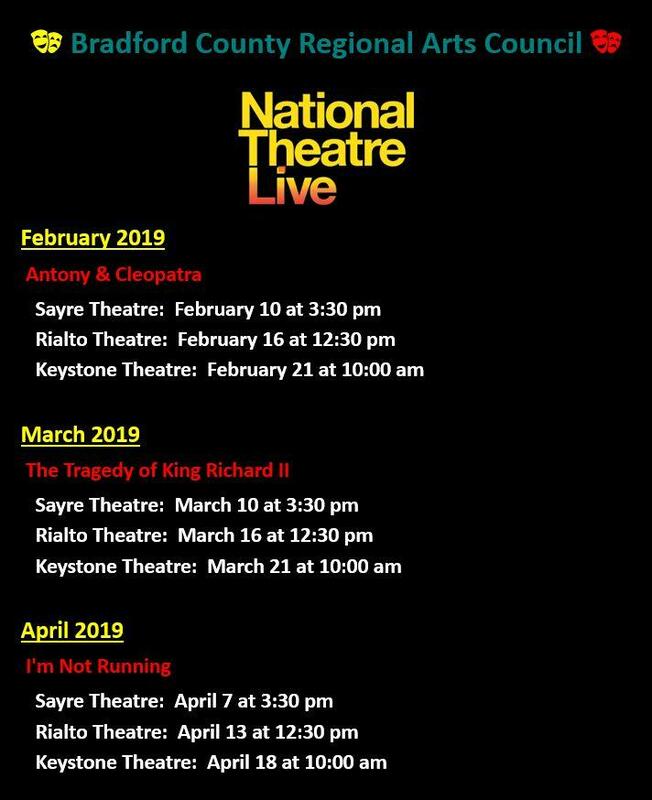 If you lived in Bradford or Sullivan County, chances are you saw most – or all – of these movies at the Keystone Theatre…. Through the 1972 Agnes Flood, a fuel crisis spurred by the Arab oil embargo in the early 70’s, a devastating fire in the adjacent building that housed Mary’s Restaurant (circa 1979), a truck crashing into the marquee in 1986 and the biggest re-structuring of the entertainment industry in 200 years, Walter and Beverly Buffington kept the Keystone Theatre – and the Wysox Drive-In – functioning and operational until the Bradford County Regional Arts Council bought the theatre in October of 1988. If anyone can be seen as heroes in the history of the Keystone Theatre, it is the Buffingtons. 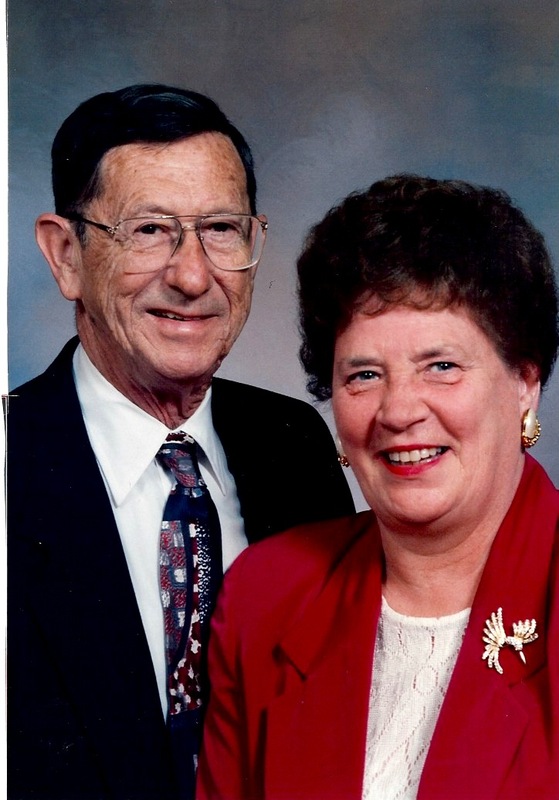 Although Walter died some years ago, Beverly graciously shared her memories for this article. In August 1969 they purchased the Keystone Theatre from the Comerford movie chain. It made sense to own both venues in order to capitalize on movie rentals and supply purchases as well as skills and staffing. One of the Buffingtons was always present in one place or the other to take tickets, see that movies got started and then to clean up and make sure the building was closed up after the shows. “We did nothing but work,” Beverly recalls. As a result of having two venues to manage, the Buffingtons rarely saw a whole movie in those 20 years. However, they saw a lot of beginnings and ends! “I saw that plane land (Airport) and watched E.T. fly off so many times that I could have been a pilot,” laughs Beverly. Between the late 1960’s and 2000, almost all single screen theatres and Drive-Ins in America closed down – as did many privately owned drug stores, grocery stores, eateries and other Main Street businesses. In rural areas especially, times were tough for theaters. People were now driving to new multiplex theatres at shopping malls where family members could choose from numerous movie offerings. In addition, with the advent of VCR’s and then DVD players, people had a wide range of movies they could rent or buy to watch at home. In spite of these challenges, Walter and Beverly promoted their businesses and remained a vital part of the community in very tough times. They were reduced to weekend shows only by the mid-1980’s but kept ticket prices low so that all could attend. Since the Drive-In was only open during the summer months the atmosphere there was quite different. “We had projectionists who would only work there because it was a wide open atmosphere,” says Beverly. At the Keystone, in addition to their own labor, the Buffingtons retained three key employees from the Comerford company in 1969: Peg Packard as manager; head projectionist Joe McAllister and ticket-taker George Grenier. Eventually all three passed away or retired. Gene Daly and Walt Buffington were the primary projectionists after McAllister. Beverly sold tickets, worked in concession, kept the books and performed many other management tasks. The Buffington’s children eventually worked in the concession booth as well. The 1972 flood resulting from Hurricane Agnes completely destroyed the basement dressing rooms, furnace, men’s bathroom and more. Coming up higher than the September 2011 flood (which did $100,000 worth of damage to the Keystone), muddy water reached the tenth row of seats inside the theater in June of 1972. At that point, Walter and Beverly were closed for several months and took out a mortgage in order to renovate and repair. Prior to 1986, the Susquehanna River bridge in Towanda was actually at Bridge Street. Main Street heading south from Bridge Street was not as well kept or well lit as it is today. There were a number of crowded apartment houses in very poor condition located in the area behind the theatre block. There was no river walk or parkway and the Creamery building and train station were not the renovated active locations they are today. There were several additional bars on Main Street with frequent fights spilling out into the street. In addition to very young children, the theatre was a favorite place for teens and pre-teens. “I’d have parents calling and saying, ‘is so-and-so there? Are they behaving?’ That made me chuckle. I never told the whole truth…” says Beverly. “There were a lot of damages. We had to clean up messes nightly. The seats were constantly being slashed and Walter was always fixing something. They were devils…” she recalls. This vandalism obviously added to the cost of running the theater. Although she hates to think of it, the razor thin profit line they operated on was stressful. “Many times the tears would roll down my cheeks when I couldn’t make payroll. Although we got a lot of hateful mail and phone calls about it, running X-rated movies at deer season was part of what helped us stay here.” Despite being harassed for it, “those movies filled the theater with local men as well as seasonal hunters – and helped pay the winter fuel bills. I was just doing the best I could – though I hated having to show those movies…” says Beverly. 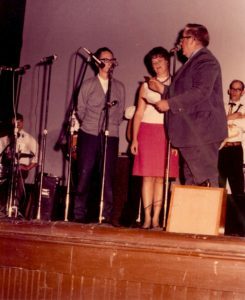 One of her fondest memories is the Sunday afternoon gatherings of the Penn York Country Music Club (PYCMC), founded by Gary Strope. “Those were some wonderful times and a lot of great people,” she says. The PYCMC held frequent concerts to raise money for those in need. According to Gary Strope, “We raised money for Memorial Hospital, for individuals for food or hospital bills and whatever we could do to help. We received a Presidential award for raising funds for the “Brace for the Ace” program to help those in need.” Gary adds that the Buffingtons, “wouldn’t take a penny for the use of the theatre. They were great! They even gave the money from the concession stand. It is such a great place to play – the sound in there is amazing.” The shows filled the balcony and the main theatre with fans coming to see the amazing array of talented country and old-time musicians from this area and professionals from as far away as Wheeling, West Virginia. Strope continues to perform as leader of Gary and the Bandits with his wife Kelly and son Cody. Another program Beverly was especially proud of was the annual Veterans Day celebration put on by the American Legion. Now held at Towanda Area High School, the event honors local veterans and pays tribute to those who serve in the military. One thing that the Buffingtons tried hard to rid the theatre of – as has the BCRAC ever since – are the bats. Walter and Beverly hired specialists and did everything that was recommended but resorted mainly to a tennis racket handled by Beverly. Clearly frustrated by their inability to rid the building of the brown winged invaders, Beverly feels some vindication on hearing that they still appear on occasion without warning during movies and live performances….